We have seen many changes at Warner University since we opened our doors and welcomed our very first students in 1968. We are so grateful for every individual that God has brought through our doors. Our alumni hold a special place in our history and our hearts. We strive every day to provide a safe place where our students can learn about God, develop their passions, and form lifelong friendships in an environment that is beyond belief. God continues to bless our university and our alumni are a constant encouragement to our heart. Be sure to check out our blog for all our Alumni Spotlights and share your stories with us. We hope you will connect with us on social media, and as always welcome you back to campus! Scholarships through the "Royal Fund for Excellence"
Scholarships are vitally important to the educational success of college students today. This scenario is the same for the majority of Warner University students. Since more than 96% of WU students receive some form of financial aid from the University, scholarship funding is a key to offering a high-quality, Christian education. Consider investing in our students through a gift to Warner’s Royal Fund for Excellence. Annually, Warner University gives back over $5.9MM in institutional scholarships for students in need. On average, this reduces the tuition burden for students by 40%, allowing more students to choose a Christ-centered education. We’re currently in a campaign to match a $3 million anonymous donation towards scholarships. Thank you to those who have stepped up and helped to match with gifts over $2,745,875! Help us reach this goal for the future of WU students! Warner University’s 2nd Annual “Apples of Gold” event to raise funds for scholarships for young ladies was held October 26, 2018 with Pam Tebow as the speaker. Please click here for more information about last year’s event. 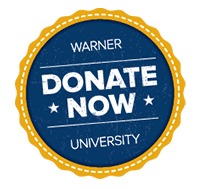 Through the establishment of endowed scholarships, Warner University is able to provide student financial support for academic award and financial need. An endowed scholarship can be established through a donation of $20,000. The fund can begin with any amount and as you give, it continues to grow. When the scholarship reaches $20,000 it qualifies as a named endowment. To learn more, see our Endowed Scholarship Policy. Consider how you may help Warner complete this much-needed project. We have a large exterior naming opportunity available, just give us a call at 863-638-1446 or email leighann.wynn@warner.edu. Please consider investing in WU’s new baseball stadium with a gift. Click here for more information. Planned Giving: What Is Your Legacy? You may create a gift of lasting significance to Warner University through bequests, gift annuities, stocks, real estate, insurance, charitable remainder trusts, wills, estates, and other types of gifts. These “planned gifts” make it possible for you to take care of yourself and your family, minimize your federal tax liability, and benefit the University in a lasting way. It is always wisest to consult your tax professional regarding any planned gift you wish to make. To learn more about gifts to Warner University through wills and estates, charitable annuities, trusts, and life insurance, contact Andrea Thies, Vice President of Advancement at andrea.thies@warner.edu or 863-638-7611. Support your Alma Mater by taking the Lion’s Share challenge. For as little as $10 per month, you can join other Royals in securing the future of Warner University. Of course we will be happy to accept larger gifts as well. Donations can be made through a one-time gift, but they can also be set up as automatic deductions from your checking/savings account or credit card if you prefer. Alumni can also support WU through employer matching gifts, student recruitment, and internship and employment opportunities for present students or graduates. All of the options help the University continue to grow while increasing the value of the diploma you already hold. Have you moved? Or just updated your email address? Keep us up to date by filling out this form. For more information, contact Alumni Relations & Annual Fund Coordinator, Abby Crawford at abby.crawford@warner.edu or 863-638-7248. 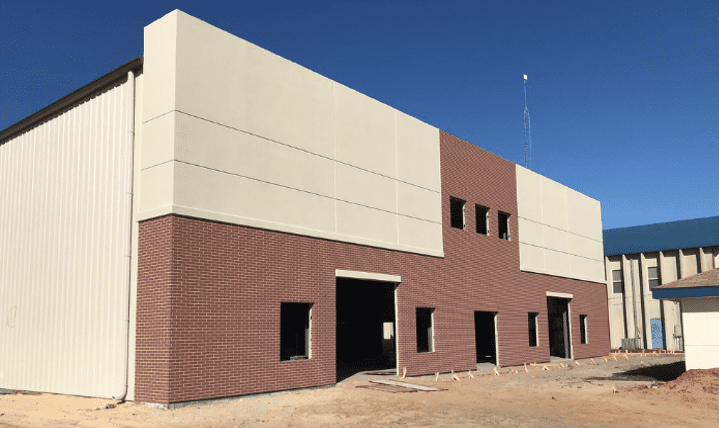 Swindle Ag Complex "Stock the Barn"
The Swindle Ag Complex was dedicated on September 20, 2018! Warner would like to say a big thank you to these donors for their generosity! The Alumni & Friends Brick Walkway is a wonderful way to honor a family member or friend, commemorate a special event, or pay tribute to a loved one. Your name, year of graduation, or personal message will be engraved and placed alongside those of classmates, friends, and family in the walkway that begins at the Love Essence sculpture. Bricks may be purchased for $125 each, and will pave the way for future Royals for years to come. Contact Alumni Relations & Annual Fund Coordinator Abby Crawford at abby.crawford@warner.edu or 863-638-7248 or purchase a brick online here and choose “Alumni & Friends Brick Walkway” on the drop-down menu to designate where you would like to direct your gift. When you add Warner University as your charity when you shop at Smile.Amazon.com (not the app), Warner simply receives .5% of the purchases you make. Just click here and begin shopping.